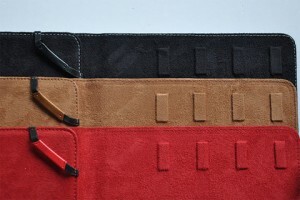 This morning MacRumors reported on some supposed 2nd generation iPad cases that had surfaced on Alibaba. This prompted us to do our own searching, in which we found several more purported cases for the iPad 2G or iPad 2nd generation. The fact that the same design has shown up on several cases would seem to indicate there is some validity to the design. The most notable possibilities include a rear facing Facetime camera as well as a possible SD card slot access rectangle cutout. Another thought for the rectangle cutout is possibly a flip down HDMI out port with the flip down style mimicking that of the Macbook Air. We’ve got all of our iPhone 4 cases on clearance this week including all of our new arrivals. 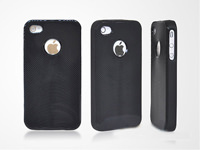 Now’s your chance to get a high quality iPhone 4 case at a fraction of the cost of most places. These make a perfect gift for your iPhone 4 enthusiast, and they won’t break your bank. 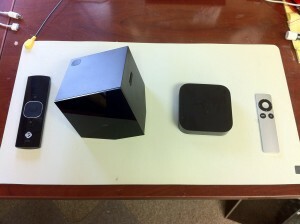 The Apple TV vs the Boxee Box. Which is the more powerful media center? We finally got our hands on a Boxee Box yesterday, and after a few hours of playing around with it, have felt it was time for a face-off. The new Apple TV was announced on September 1, 2010, and shipped roughly 4 weeks later. The Boxee Box was announced in January at the Consumer Electronics Show in Las Vegas, and shipped on November 10, 2010. It appears that the general consensus is leaning away from physical media, such as DVDs and BluRay discs, to digital media. We see iterations of this with Netflix streaming, the popularity of HULU, and the way many networks offer their programming line-up online usually within 24 hours of the airing on network television. Apple tends to try to be the trend setter, in doing this same thing by introducing the iTunes Store back in 2003, and selling music digitally. Seven years later, and several billion downloads later, we are on the cusp of seeing a new app store for Mac opening, and even watching more and more of the manner in which we consume our entertainment, come from the internet. Many people have toyed with the idea of “cutting the cable”, and moving over to pulling all of their content from the internet, and after writing this review, I for one, am ready to take the plunge. The first device we are reviewing is the Apple TV. This is a very compact device, measuring 3.9″ x 3.9″ x .9″. This thing literally sits in the palm of your hand. The Apple TV comes with a very nice aluminum remote, and a simple power cord. Following the standard fare, Apple has used minimal packaging, giving us a box that measures 4″ x 4″ x 3″, which is still incredibly small. The Apple TV has an HDMI port on the back, along with an S/PDIF out, and a Micro-USB port (for servicing the Apple TV) It also comes with an Ethernet port, and supports wireless-N. Out of the box, the Apple TV runs very smoothly, moving from menu to menu with little to no hesitation. Thumbnails for the movie posters, and television shows open almost immediately, and the only hesitation would be caused by internet connection. The Apple TV only supports 720p resolution for your television, however, in most instances, the resolution difference from 720p to 1080p is negligible, and does not hamper any entertainment value for the end user. YouTube, Netflix, Flickr, and MobileMe are all natively offered, as well as an option for AirPlay, which currently only supports streaming from your computer to the Apple TV. Sometime around Thanksgiving, with the release of iOS 4.2, you should be able to push media from your iOS devices to the Apple TV. The iTunes Store offers television and movie rentals starting at $.99 per episode, and going up from there. They also offer new release movies on the same day that the DVD and BluRay versions are available in stores. Most new releases are less than a rental at your local Blockbuster. If you want apps on the Apple TV now, the only option available is to jailbreak, which is not the simplest of procedures, and is not recommended for the casual user. This is a process which could end up damaging or bricking your device, so do not attempt to do any such thing without careful planning, and understanding the risks of doing so. This having been said, one of the coolest apps that you can get on your Apple TV is the Plex app. This allows you to stream video of almost any format to your Apple TV. The Plex media server will transcode the video on the fly, and send it via wireless, or through ethernet to your device, so that you can watch the content in a full 720p resolution. Buffer times are minimal, and the interface is beautifully crafted to blend with the native Apple TV. The downside, is that not all of the options on the Plex app, such as music work at the time of writing. Also, you do not have access to seeking any videos that you are streaming. Overall, the Apple TV is a great device at a great price-point for the average Joe, who does not want to dive into a lot of configuring, and would like to be able to plug in and play. The menus are very self explanatory, and the remote is extremely simple to use. For myself, it would not replace a Home Theater PC, however, it does make for a very nice addition to handle some internet streaming content, and I would definitely recommend it as an alternative to a trip to the video store. The added feature of being able to watch content on Netflix, as well as through the iTunes store make this little box a solid and very usable device. Now, for the Boxee Box. 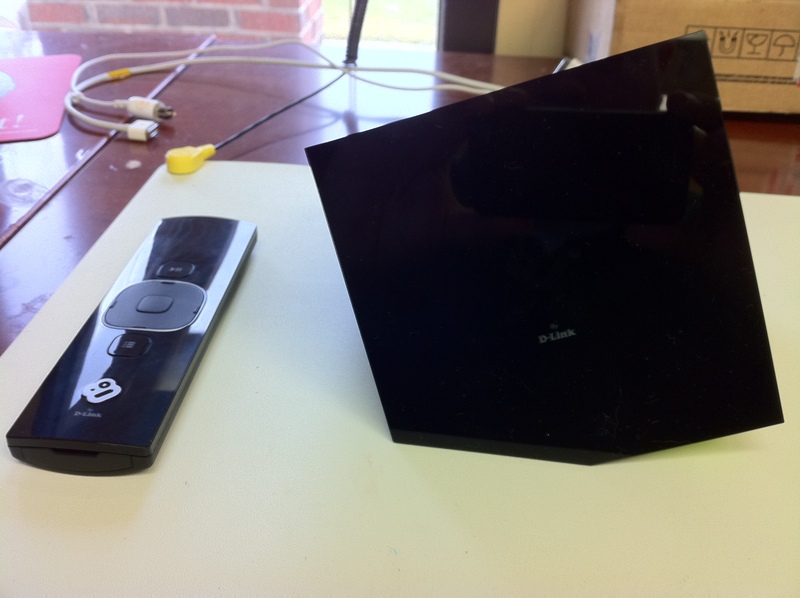 The Boxee Box is manufactured by D-Link, and is a very compact, measuring roughly 4.5″ cubed, and then set on an angle, and the bottom corner flattened. I believe that the design of the Boxee Box will bring it out as a conversation piece, and quickly draws attention to the unique and appealing design. With a price at $199.00, the Boxee Box is a little bit heavier of an expense than the Apple TV, however, you do get what you pay for. The Boxee Box currently runs version 1.0 of the Boxee software which can also be run on almost any computer, running Linux, Windows, or OSX. The Boxee Box offers an SD/MMC Card slot, an HDMI port, RCA Stereo ports, a S/PDIF optical output, 2 USB 2.0 Ports, and an Ethernet port. 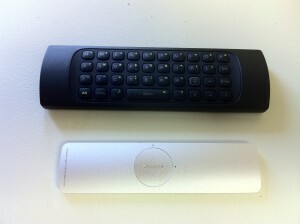 The Boxee Box also supports an RF remote, and carries wireless-N. 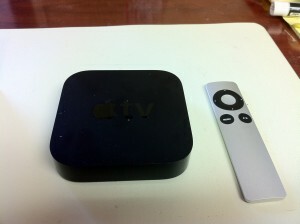 Initial impressions out of the box, are very similar to that of the Apple TV. Setup was extremely simple, and the remote for the Boxee Box has a QWERTY Keyboard on the back, which makes for a very quick and intuitive access to entering in information, such and the security key for the wireless network. The Boxee Box also allows for integration with Facebook, and Google, and several other social-interactive networks, to be able to post about videos that you have watched, or to be able to watch videos posted by your friends. Navigation through the Boxee Box interface, while simple enough, was still somewhat more complicated than the Apple TV, however, every video I watched was upconverted to an astounding 1080p. The sharpness of everything I watched really jumped out at me, and even some of the internet content, such as Diggnation on Revision 3 comes through in full HD, with almost no buffering time. The ability to search through literally hundreds of shows available online for free, and the ability to easily setup sharing and watch content across your home network certainly makes a strong selling point for me with this little device. The Boxee Box packs a 1.2Ghz Intel Atom chip under the hood, using 1GB of RAM, and the OS is installed on 1GB NAND Flash memory. The OS in built off a Linux based kernel, and the interface is almost identical to what is available from http://boxee.tv for download on your HTPC. The concept of “jailbreaking” has become very commonplace, especially in locked devices, such as many of the Apple iOS devices, however, on the Boxee Box the need to do this, is almost non-existent. Currently, with no special software installed, you can simply share folders with content (i.e., Photos, Videos, or Music), so long as it is not DRM protected, and almost instantly consume the media on a big screen. The other aspect that I found to be a real deal-sweetener, is the two USB 2.0 Ports on the back. Within 15 minutes, I had copied a few movies on an external drive, and was able to watch them in my living room. The only complaint that I really have in regards to the Boxee Box, is that Netflix, and HULU were implied to work on the Boxee Box upon release, however, they are nowhere to be found. According to several articles online, before the end of the year Hulu Plus and Netflix will be available. Boxee has also promised premium subscription apps for VUDU, MUBI, OpenFilm, IndieMoviesOnline, EZTakes, MLB TV, NHL GameCenter, Flickr, and Pandora. Due to the lack of a completed infrastructure of services, I would say that the Boxee Box is geared more to the geekier community, and those who tend to play with software, and tweak settings. The only other shortcoming I have seen in the Boxee Box vs. the Apple TV, is buffering time. The Apple TV is far better at reducing the buffering time, and seems to be a little swifter at pulling up video. Overall both are fantastic little devices, offering a great user experience, and the ultimate decision as to which will win you over, will really depend on how you would use the device. For casual watching, and video rental replacement, I would go with the Apple TV. If you have amassed a decent sized media library, and are contemplating a good HTPC replacement, I would certainly recommend the Boxee Box. The iPhone 4 Repair video is available at the link below. The take apart is also embedded below in this blog post. Today we added a new product to our online store…A Micro Sim Cutter with Adapter. Now you can easily and accurately cut your iPhone SIM card (15-25 mm) into an iPhone 4 and iPad 3G micro SIM card (12-15 mm). The iPhone, iPhone 3G and 3GS ship with a standard size SIM card which is much larger than the iPhone 4 and iPad 3G Micro Sim cards. This makes is so you can not switch your sim card from your 3G or 3GS into an iPhone 4 or an iPad. This MicroSim adapter cuts down your larger SIM card from your iPhone 3G or 3GS and lets you use it in an iPhone 4 or iPad. It also comes with 2 adapters that let you switch the card back into your iPhone. 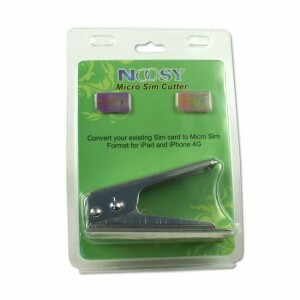 Alternatively, this MicroSim cutter will allow you to cut down other carrier SIMS to use in the iPhone 4 and iPad. Please note that while it is unlikely you will damage your SIM card using this product, you will be modifying your original SIM. As such, we can not provide any warranty or support in the event that you do damage your original SIM card. Today we are releasing our Mac Pro Repair guide video. You can view the video directly at the link below. 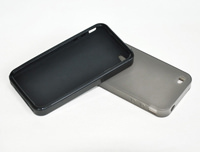 More and more iPhone 4 users have been complaining that their back cases are getting broken by using 3rd party cases. The cases apply just enough pressure to cause the iPhone 4 Back Glass cover to break. The only fix is to replace the back case. The good news is that the back case replacement is quite possibly the easiest repair of any Apple device ever made. All you have to do is remove the bottom two screws on the iPhone 4, slide the back case off…slide the new case on, replace the 2 screws and voila. 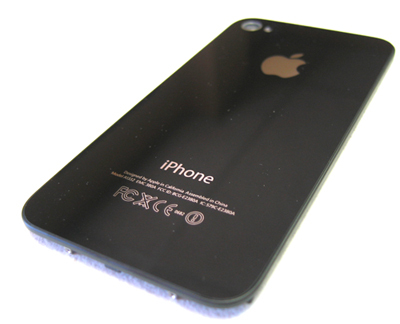 We sell the iPhone 4 Back Glass replacements for $49.95. These back cases are a little costly for what they are, but they are originals, and not copies. Since the Macbook Air was introduced, one of the most common requests we have received is for a Macbook Air solid state drive replacement or upgrade. 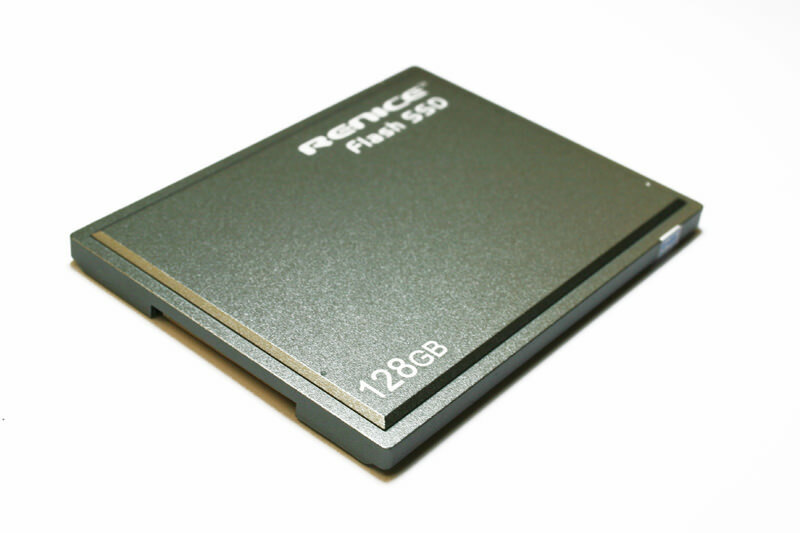 Until now these solid state drives have been virtually impossible to source. As of today however, we are now carrying both 128GB and 64GB solid state drives for the Macbook Air Revision A models (PATA models). We hope to start carrying Macbook Air SATA SSD drives in the near future, however at this time they are not available. If you currently don’t have a solid state drive, you can upgrade to one. You can also use the drive to replace a defective stock drive. 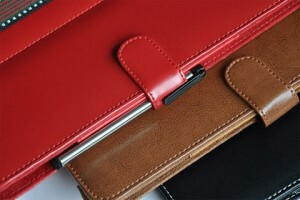 We’ve added several new iPad accessories which we’ll be posting more info on in the next few days. One of these new products is a leather case for the iPad which also doubles as a stand. The cases are gorgeous and also extremely functional. We’re clearing out our current stock of Refurb Macbook and iMac units. These units are being sold below cost and are priced to move.